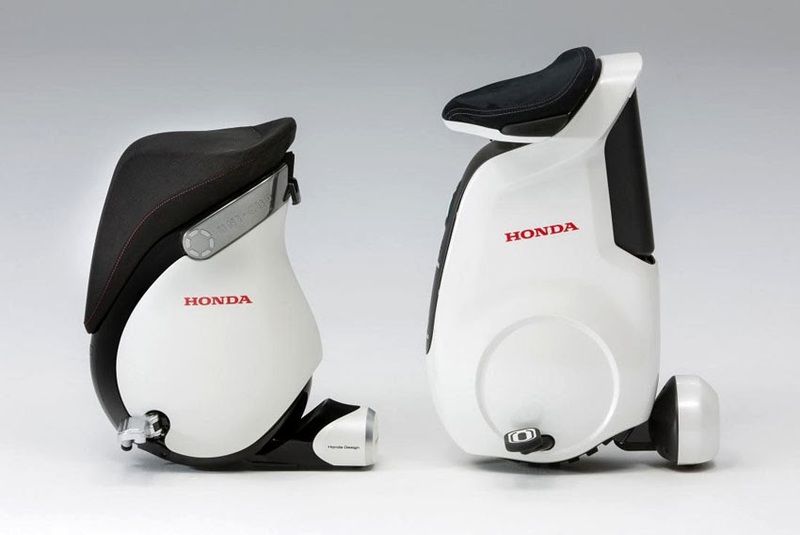 Honda Motor Co., has unveiled the UNI-CUB β, a personal mobility device that will be exhibited at 2013 Tokyo Motor Show. (Honda Omni Traction Drive System) in May 2012. This originated from Honda's research into humanoid robots, represented by the research and development of ASIMO. These technologies allow the rider to move UNI-CUB forward, backward, side-to-side and diagonally simply by shifting their body weight and leaning towards the intended direction. Since June 2012, Honda has been testing and verifying the potential utility of the UNI-CUB through a demonstration testing program in Japan conducted jointly with the National Museum of Emerging Science and Innovation (Miraikan). The new UNI-CUB β is an evolution of the UNI-CUB, developed after analysis of the data and user feedback from this testing program. With this model, Honda will make another step forward and verify the business feasibility of the device by offering the UNI-CUB β to other businesses and organisations in Japan through a fee-based leasing program.